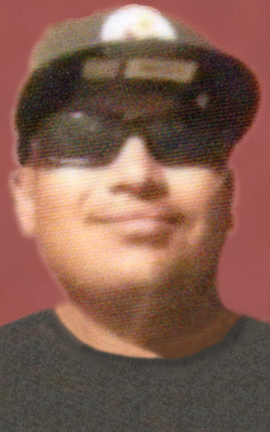 A Mass of Christian Burial is scheduled for 9:30 a.m. Wednesday, Dec. 28, at Our Lady of Grace Catholic Church for Otis Chavez Jr. of Artesia. Chavez, 22, passed away Tuesday, Dec. 20, 2016, in Artesia. Fr. Martin Cornejo will officiate at the services, with interment to follow at Twin Oaks Memorial Park. Pallbearers will be Jeremiah Luevano, Morgan Quarels III, Lance Ochoa, Jaime Segura, Isaac Granado and Harvey Rodriguez. Visitation will begin at 10 a.m. Tuesday at Terpening & Son Mortuary. A rosary will be recited at 6:30 p.m. Tuesday at Our Lady of Grace. Otis was born Nov. 28, 1994, in Artesia to Otis Chavez and Lisa (Cabezuela) Rodriguez. He was a lifelong Artesia resident. He attended Artesia High School and worked in the oilfields as a casing crewman. He was a member of Our Lady of Grace Catholic Church and enjoyed fishing and shooting guns. Survivors include his father, Otis Chavez, of Artesia; mother Lisa Rodriguez and husband Abel; grandmother Mary Chavez of Artesia; and numerous cousins, aunts and uncles.